What do you do when love goes wrong? If you're Tomato "Mad Dog" Rodriguez, the reigning queen of motorcycle-riding, bicoastal bisexuals, you do every wrong thing there is to do. What starts out as a low-rent revenge complete with whipped cream, Bic ballpoints, and a two-by-four turns into a murder charge. Before Tomato knows what's happening, she's locked away in the Big House with all the rest of the bad, bad, bad girls, hoping Ilsa the Wicked Warden will think she's too crazy to be convicted on a murder charge. 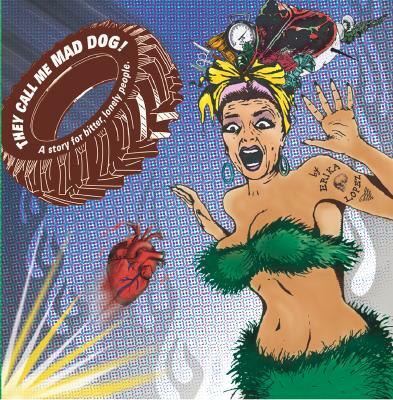 "They Call Me Mad Dog" is a cross between "Caged Heat" and "The Women," a wild and wonderfully hilarious search for the meaning of life and a place to put the cat box.